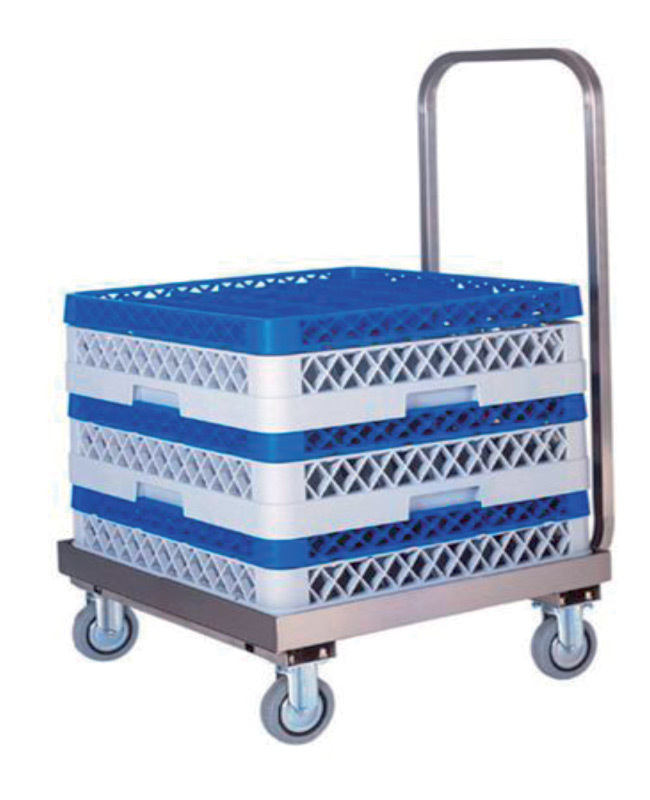 Our steel trolleys are the ideal way to carry, to get rid of, and to support. 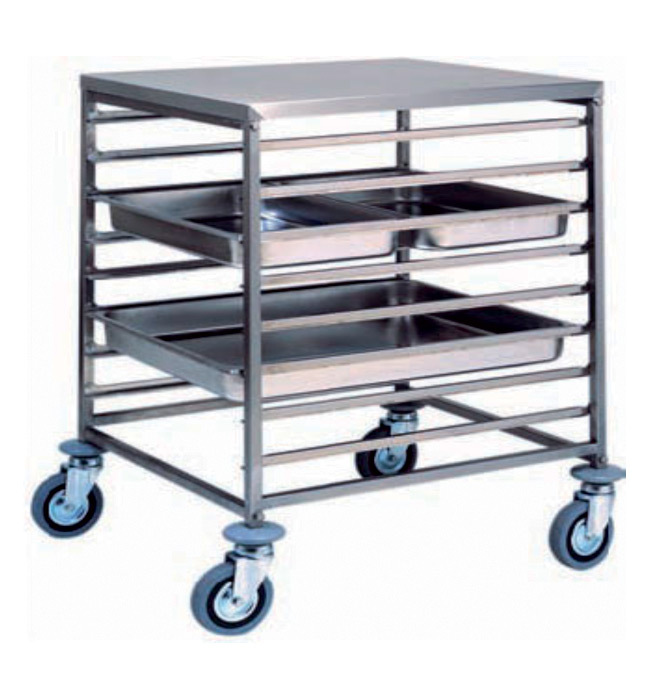 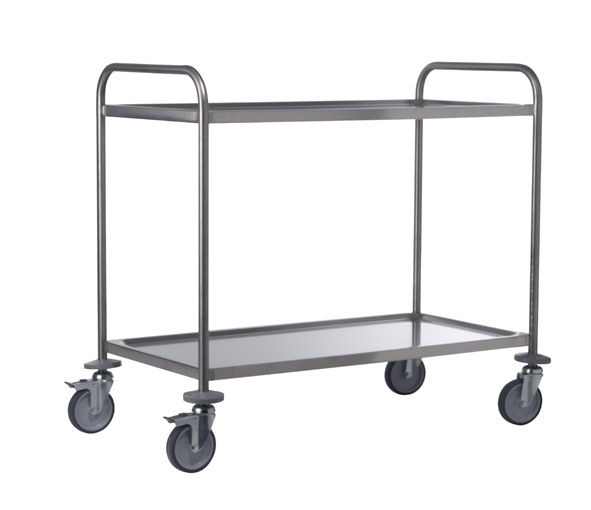 An ample selection of excellent trolleys, tailor-made to transport all the typical products of a professional kitchen: Gastronorm containers, trays, dishwasher racks, 60×40 containers. 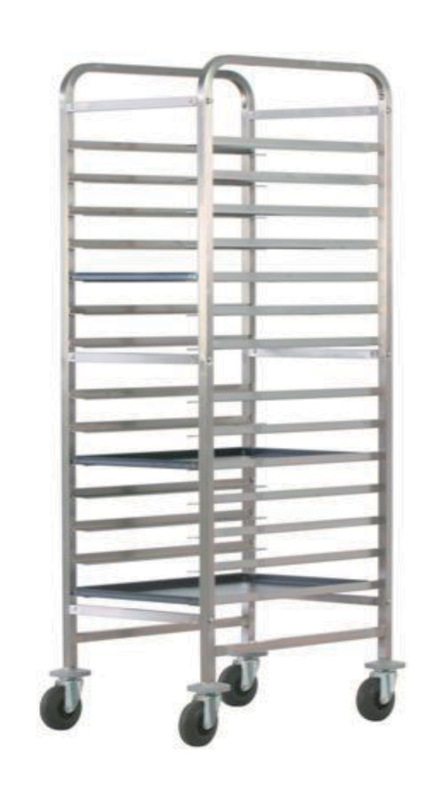 We have total flexibility, to the point that we can produce customised models. 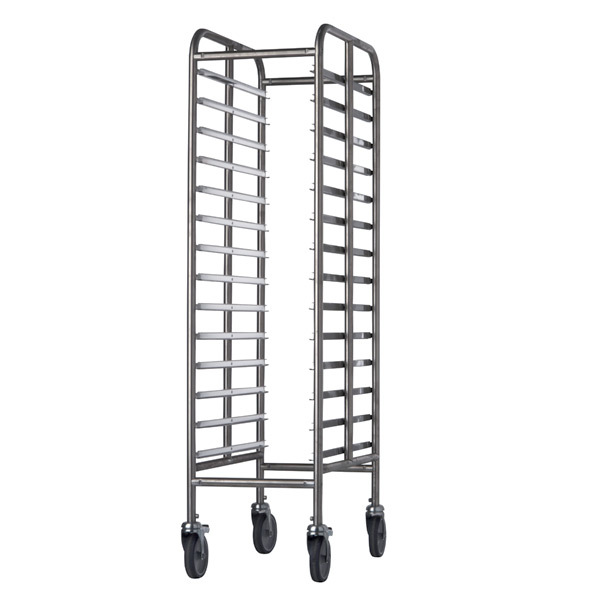 Made only with solid Aisi304 stainless steel (18/10), the best material for hygiene and resistance to wear, products are designed to carry substantial loads of a 100kg and more. 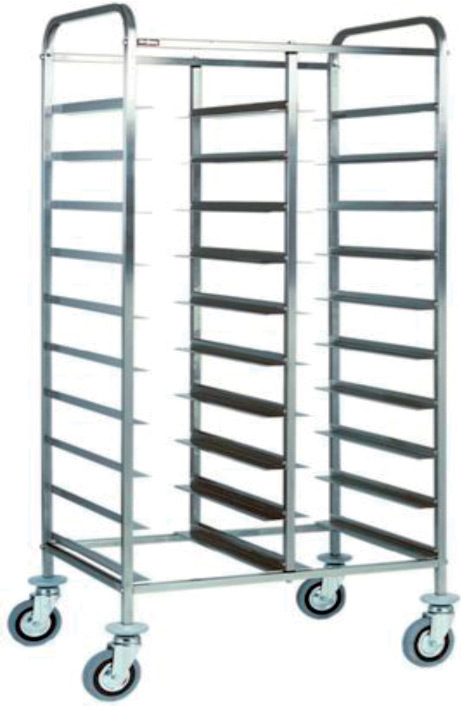 Available as welded or to be built and flat-packed to save space, they come with a variety of accessories and care for details: soundproof wheels made of nylon or rubber, with brakes and buffers to soften bumps; sound-deadening rubber under each shelf to soften annoying noises and vibrations; smooth surfaces without hidden corners or sharp edges for easier cleaning and better safety; shelves with raised borders to stop things from sliding off during transport. 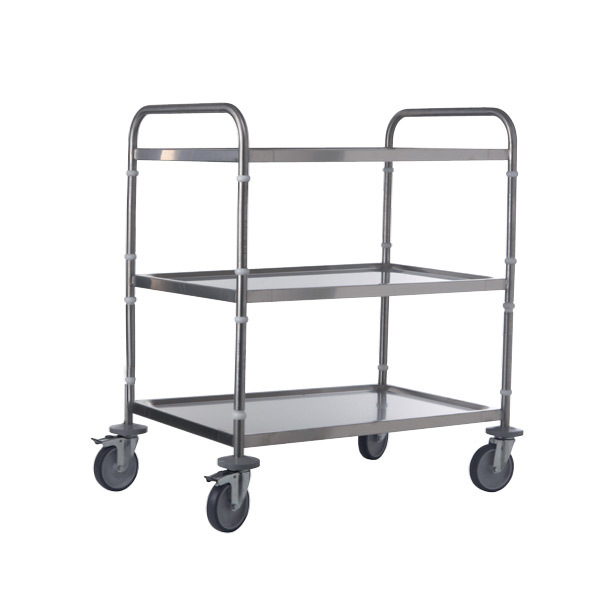 For the transport of any container, various foods, etc, INOX MACEL offers a beautiful and complete line of AISI 304 steel trolleys, available in different models and sizes. 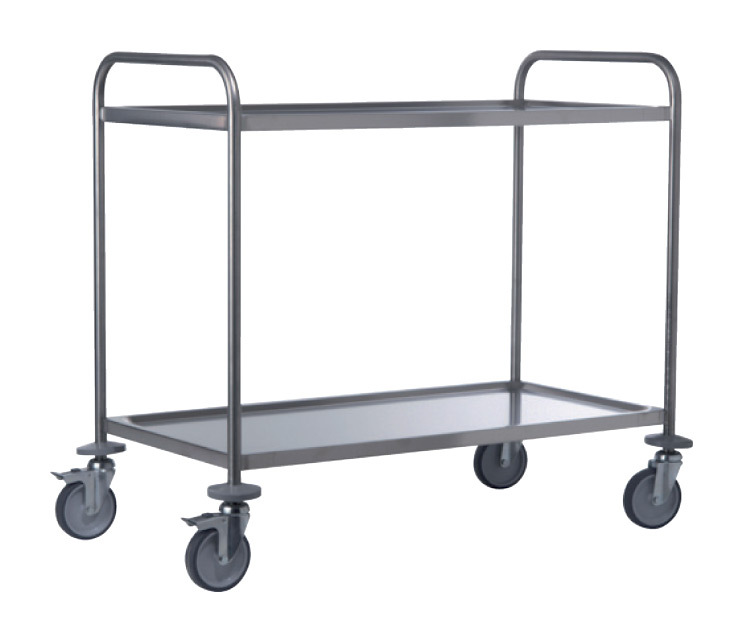 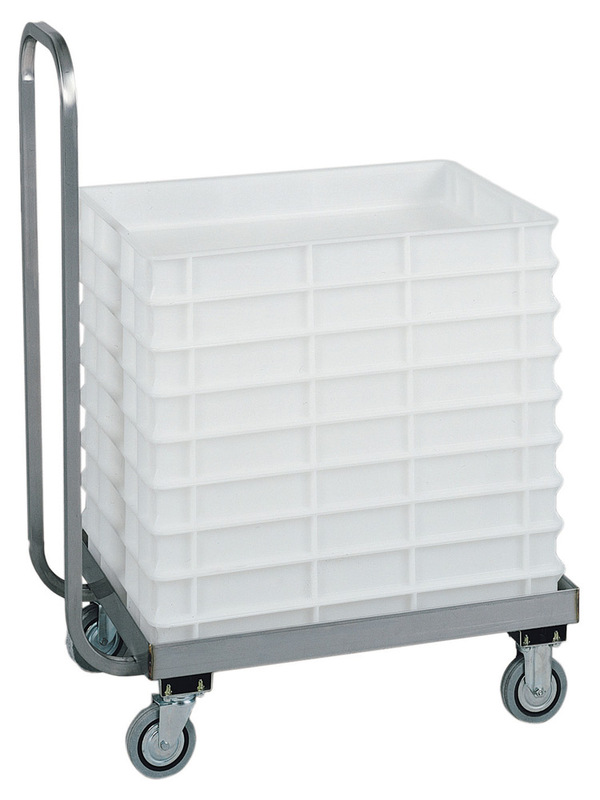 Inox trolley for the transport of heavy objects, practical and sturdy.